Eton Mess is a classic English dessert which essentially consists of strawberries, cream and meringue. It originates from around the 1930’s when it was first served at Eton College in their annual cricket match against Harrow School. It has retained its name since that time and has grown in popularity around the whole of the United Kingdom. Although strawberries are the traditional fruit added to Eton Mess, other fruits such as raspberries and blueberries are now commonly found to also be included. Eton Mess is a lovely summery dessert which is mainly enjoyed between the months of May and August in England. People take it with them on picnics and include it at dinner parties and at barbecues in the summer months. It is refreshing and sweet tasting with variety in the texture which is provided by the soft fluffy cream working against the harder and chewier meringue. I hope that you enjoy this simple recipe and that you are encouraged to make it yourself at home. Even if you are not an experienced cook, this is a dessert that is very easy to assemble. Do not worry if you have never made meringue before either because I have included a bonus recipe for this below too. Wash the strawberries under cold water and hull them. Next chop them up into small pieces and place in a large mixing bowl. It does not matter if the shape of the strawberry pieces are uneven because this will add a rustic touch to the finished Eton Mess dessert. In a separate bowl, combine the cream with the two tablespoons of caster sugar. Whip up these two ingredients until the mixture holds stiff peaks. 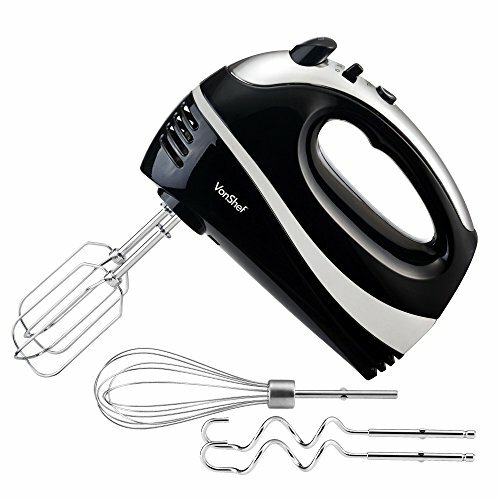 You could use either a manual handheld whisk or an electric one. I find that using an electric one can save a lot of time when I am in a hurry to make this recipe, it can certainly speed the process up greatly. Once you are happy with the consistency and texture of your whipped cream then you could add the strawberries to it and combine them together using a wooden spoon. Do this if you are going for a rustic and more ‘messy’ style of Eton Mess. However, if you are going to assemble your Eton Mess in layers then you can wait to combine them all at the end if you prefer. Place your whipped cream in the fridge to keep cool. If you are continuing with this step and mixing the strawberries into the whipped cream then gently fold the strawberries into the mixture. Do this carefully because as they are soft in texture you do not want them to disintegrate too much. This will not only color the white cream bright red, it will lessen the quality and texture of the strawberries and it may become messy looking in appearance. However, if you are aiming for a messier Eton Mess and you do not mind them blending then continue. If on the other hand you wish to keep the whipped cream slightly separate then using slightly under ripe strawberries are best for this recipe. Now you are ready to add the meringue to the mixture. You can buy meringues in a packet from your local supermarket. However, if you wish to make them at home yourself then I will now include a quick and simple recipe to achieve just that. In a large mixing bowl, add the four egg whites, caster sugar and icing sugar together. Whisk until stiff peaks form in the mixture and the texture becomes thicker. It should still feel slightly fluffy but will hold its shape when you pull a whisk or wooden spoon out of the mixture. Line a baking tray with baking parchment (also known as grease proof paper) and spoon your meringue mixture onto it. Do not worry at all about the shape or appearance of the meringue because you are going to crumble it up into the Eton Mess later. 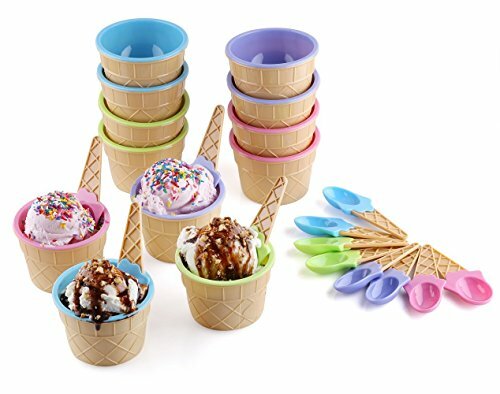 I love these cute ice cream bowls for desserts. They come with matching mini spoons which are great not only for children but at family parties too. However, do try to ensure that the thickness is even because this will help to produce a good even bake. Next you can bake the meringue in the oven at Gas Mark 1 for approximately 30 minutes or until the mixture has a nice soft golden color on the top of the surface. Remove from the oven and allow to completely cool before you move on to the next step. Now that you are prepared with either your shop bought or homemade meringues, you can finally assemble the Eton Mess. Firstly however you need to break up your meringue into smaller chunks. I find that the best way to do this is to break parts off large sections into zip lock sandwich bags and to gently hit the bag with a rolling pin a few times. However, you could simply use your hands to crumble the pieces up if you prefer. Now if you combined the strawberries with the whipped cream earlier in step two then you can now simply add the meringues to complete your Eton Mess. However, if you are going to assemble them individually in glasses in layers then start with a layer of your choice and work gradually upwards. Add either the meringue pieces, strawberries and whipped cream in the order of your choice until your glasses are full. I like to always finish my individual Eton Mess desserts off with a layer of crumbly meringue on top with a strawberry for decoration. If you want to get even more creative with this recipe then you could try combining fruits together such as raspberries and blueberries. You could even add food coloring dye to the whipped cream and/or the meringue for a party. I hope that you have enjoyed my simple Eton Mess and meringue recipe and that you feel encouraged to try it out at home this summer for your family and friends.